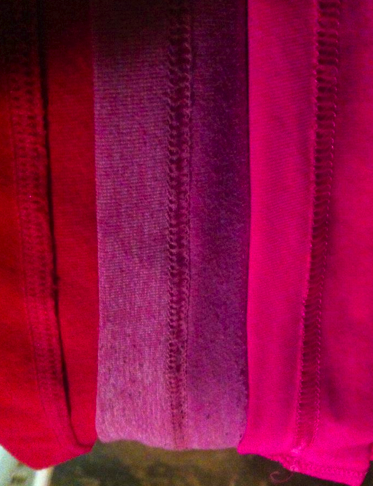 A great picture a Lululemon fan has posted of some of her tanks with varying degrees of stitching quality from good quality oldest to bad quality newest. These are all bottom hems. Senorita Pink Scoop Neck Tank 2010, Heathered Rose Petal CRB 2011, Raspberry Glow CRB Present.